Biz2Credit, a fintech provider to global financial institutions, announced Thursday its partnership with Oriental Bank to develop a digital lending platform for the bank’s commercial clients. Through this partnership, Oriental Bank will be the first bank in Puerto Rico to engage commercial clients through a digital platform that supports applications for business credit cards, as well as lines of credit, term loans, real estate loans, equipment purchase, and SBA loans. The customer application for Oriental Bank will be provided in both Spanish and English, company officials said. The cloud-hosted platform allows bankers and clients to interact digitally, including uploading financial documents and gaining access to third-party credit data, as well as digitally delivers credit memos, commitment letters, closing documents and more. The platform includes a customized recommendation engine based on the bank’s credit policy, to streamline the decision process. Loans are booked on the bank’s balance sheet. With this solution, Oriental Bank commercial customers now have a 24/7 small business lending opportunity. Biz2Credit market analysis shows that 21 percent of its online small business credit applications are generated on weekends, and overall 37 percent of applications are initiated outside of the typical 9-to-5 workday. This new digital business lending platform follows the release of OrientalBiz, Oriental Bank’s banking app for commercial clients. 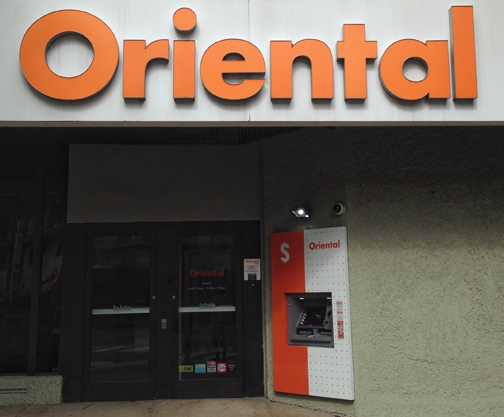 “Digital is a strong focus area for Oriental. We are continuously seeking to exploit innovative customer-facing technology to set the gold standard in the local market for unparalleled customer service,” said Ganesh Kumar, Oriental Bank’s COO. “This partnership will allow us to access technology to automate the complex commercial lending process, offering increased convenience and accessibility to our clients,” he said. Founded in 2007, Biz2Credit has arranged more than $1.7 billion in small business financing and was recently named among the top 150 of fast-growing companies on Deloitte’s 2016 Technology Fast 500. Hey Buddy!, I found this information for you: "Biz2Credit, Oriental join to create digital lending platform". Here is the website link: https://newsismybusiness.com/biz2credit-oriental-platform/. Thank you.